Fermat was born in August 1601, in Beaumont de Lomagne, France. Almost nothing is known of his early years except that he attended a local Franciscan school. He studied law at Toulouse, gaining a degree from the University of Orleans in 1631. A life­long career in law and parliamentary service followed. Fermat pursued advanced mathematics in his spare time, corresponding with another amateur mathematician, Father M. Mersenne, who was a friend of RENÉ DESCARTES and BLAISE PASCAL. In the early 1630s Fermat devised a coordinate system of two axes. He used it for the representation of such algebraic equations as lines and curves, a topic now known as analytic geometry. Simultaneously and independently Descartes also developed the use of coordinate axes; he published a description of his system and was recognized as the founder of analytic geometry. Fermat was reluctant to publish his work, most of which was recorded in disordered manuscripts, in letters to friends, and as notes jotted in the margins of books. In 1637 Fermat completed work that represented the beginnings of the calculus (broadly defined as the use of algebra to calculate the properties of changing quantities). He developed a method of finding the tangent to a point on a curve; the tangent’s slope represents the instantaneous rate of change of the curve at that point. This operation is equivalent to differentiation in the modern calculus. At the same time Fermat worked on his favorite mathematical topic, number theory. He formulated numerous theorems (a theorem is a mathematical formula or statement deduced through other formulas to be true), often sending them, unproved, to friends as a challenge. His most famous theorem, called Fermat’s last theorem, states that there are no whole­number solutions to the equation xn + yn = zn when n is an integer greater than 2. He wrote the theorem in the margin of a book (probably in 1637) but never recorded the proof he claimed to have formulated for it. A satisfactory solution was not found until 1995. In the 1650s Fermat corresponded with French mathematician Blaise Pascal concerning probabilities. Through their letters, they established the foundations of probability theory, the mathematical prediction of outcomes to events. In his later years Fermat investigated optics. Using mathematics he found that light travels more slowly through denser media. He also suggested that light travels by the quickest path possible, now known as Fermat’s principle. 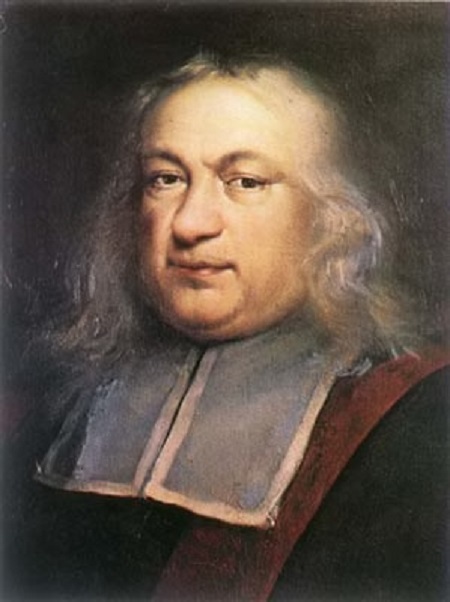 Fermat died in Castres, France, on January 12, 1665. Fermat contributed greatly to various topics in the development of modern mathematics. Because of his refusal to publish, Fermat was not widely known during his lifetime. Only his friends and correspondents, mostly other mathematicians, understood his contributions. After his death the extent and significance of his work began to be recognized. Fermat’s work on the relation of tangents to curves was important in the evolution of ISAAC NEWTON’s ideas concerning the calculus. Newton’s calculus, developed in the 1660s, addressed instantaneous rates of change, maximum and minimum values of functions, the length of a specified portion of a curve, and the area under or enclosed by a curve. (GOTTFRIED WILHELM LEIBNIZ independently developed the calculus without borrowing from Fermat.) The calculus proved to be an important tool for advancing solutions to problems in seventeenth­ and eighteenth­century physics and celestial mechanics, and it is invaluable in all fields of modern physics. In the century following Fermat’s death, there was little interest in number theory, but in the eighteenth century LEONHARD EULER revived Fermat’s discoveries in that field. Euler solved, generalized, and built upon several theorems proposed by Fermat but not since proved by anyone else. Euler’s work was advanced in the nineteenth century by CARL FRIEDRICH GAUSS, who is credited as the father of modern number­theory methodology. Probability theory, founded by Fermat and Pascal, evolved continuously through the work of numerous mathematicians, including JAKOB BERNOULLI, Pierre Laplace, Siméon­Denis Poisson, and Andrei Kolmogorov. Modern probability theory is applied to many scientific fields, including particle physics, quantum mechanics, population biology, and epidemiology. Fermat’s last theorem has likely generated more work than any other problem in the history of mathematics. Thousands of incorrect proofs to the theorem have been proposed. By 1976 centuries of work had shown the theorem to be true for all values of n up to 125,000. Finally, in 1995, Andrew Wiles of Princeton University completed the proof after more than nine years of work; it was published in the May 1995 issue of Annals of Mathematics. Some experts now suspect that Fermat thought he had formulated a correct proof but actually had not.